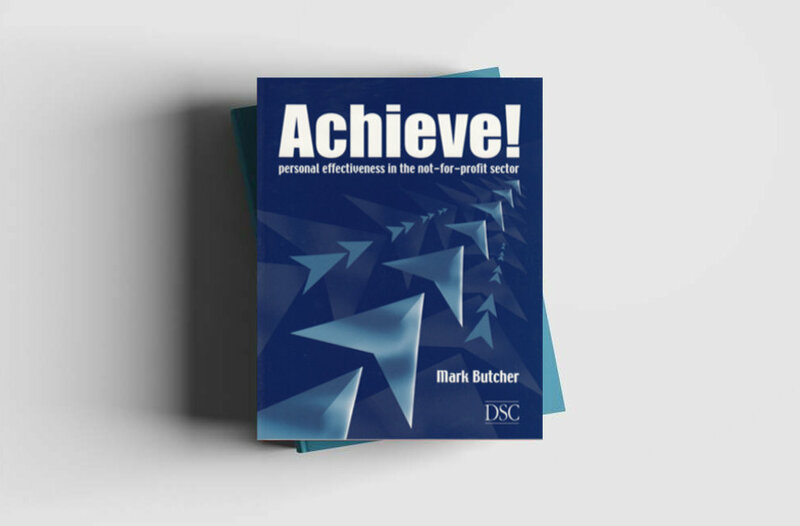 First published by the Directory of Social Change in 2003, this soft back title is a tool kit to help the reader improve time management, lower work related stress, identify priorities, get these done on time and achieve work and personal goals. By working through 8 key principles you will produce your very own Personal Effectiveness Master Plan that will allow you to juggle multiple priorities, function at a consistently high level and improve the quality of your life. Price: £14.99 including postage and packing. During the good times more in-house creativity will help your organisation to thrive. During the bad times it may very well ensure it survives! 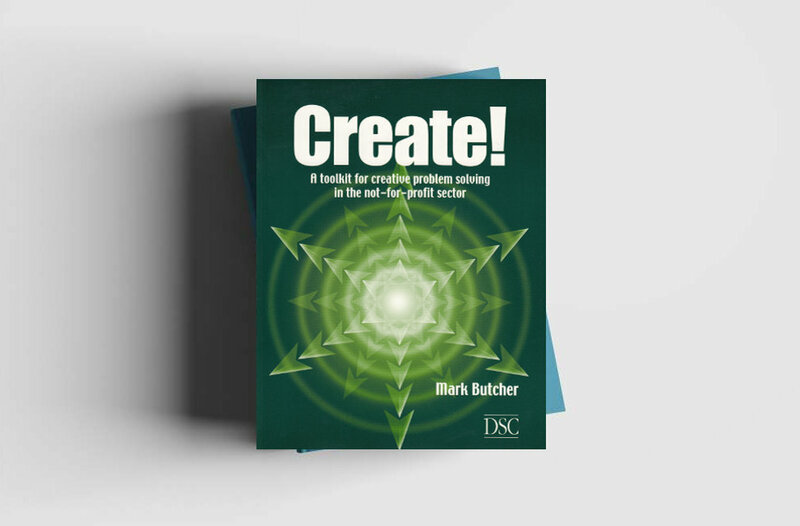 Using the CREATE Programme, the reader will be able to identify problems clearly, generate more (and better) ideas, find new alternatives and additional options, choose the course of action that is most likely to succeed and develop a ‘creativity culture’ within the team that will help everyone to contribute to finding better solutions for a sustainable future. 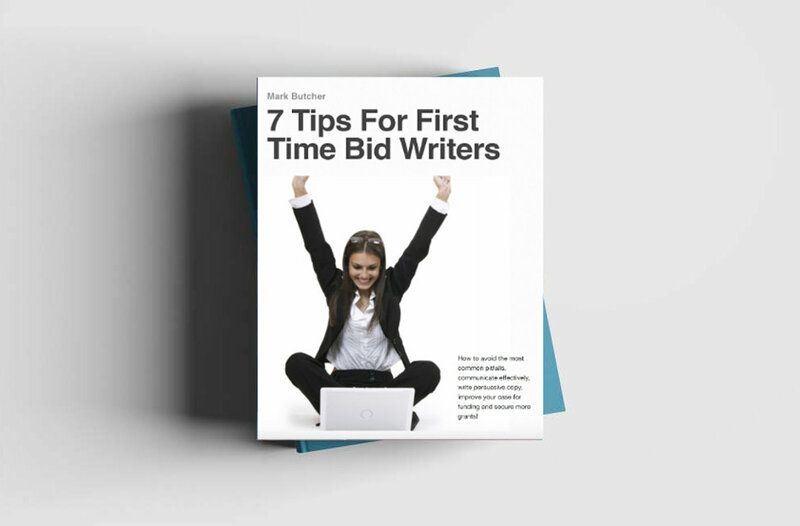 This e-book will demonstrate how to avoid common bid writing pitfalls, how to communicate effectively in print, write persuasive copy, improve your case for funding and secure more grants. The 7 Tips will give you the tools to communicate to funders why your work and the results you achieve for your clients is worth funding. These short and punchy e-books (usually just less than 50 pages) focus on giving the reader a brief overview of a wide range of key management skills. They are suitable both for those new to management and those who are more experienced but would welcome a quick, inexpensive and effective refresher on key concepts and fundamental principles. All of the titles draw upon the ideas of experts in their field, use charts, exercises and case studies to bring the information to life and include a comprehensive list of additional resources for further study. Individual Fast Track Guides cost £5.99 and will be delivered to your inbox in pdf format. All 8 can be purchased for £40.00 (saving £8.00). This e-book covers the difference between ‘leadership’ and ‘management’, developing a flexible leadership style (depending on the needs of your team members), leading the team through stages in its development, developing a vision and motivating team members. It draws on the work of Thought Leaders such as Ken Blanchard, Bruce Tuckman, John Adair and Jim Collins. This e-book provides a handy and effective method to create a strategic plan for your team, department or organisation from scratch. It does away with jargon and demonstrates a systematic and step-by- step approach to identify key challenges, and take the right steps to meet them. The publication includes an overview of the ‘Magic Circle’ planning method, how to get the mission right, gathering information to inform the plan, undertaking analysis, setting organisation goals, the importance of evaluation, managing change and key planning models and tools to improve your practice. Covers a wide range of critical Project Management skills, including the ‘3Ds’ of Project Management (Design, Delivery and Development), establishing risk, clarifying outcomes and measuring success, creating a Work Breakdown Structure, understanding the skills, talents and people you will need, costing the project, timetabling, scheduling and sequencing, managing quality issues and much more. Using our specially designed ‘PRESENT’ Model this e-book will give the reader the tools to prevent problems, prepare properly, build rapport with the audience, use the audio visual equipment professionally, create an effective presentation structure, use audience engagement techniques, manage nerves and deal with troublesome audience members. This e-book covers the Key Principles of Influencing People (based on the work of Dr. Robert Cialdini and others), how to create rapport, build relationships and get results, using language to influence, using body language to influence, the advantages of ‘Principled Negotiation’, how to achieve ‘Win/Win Solutions’ and how to deal with ‘hardball’ negotiators. Incorporating a number of classic management psychology models and theories (from Richard Wiseman to Frederick Nietzsche; from Stephen Covey to Professor Robert Winston), this e-book looks at how ‘peak performers’ operate. You’ll learn a powerful 8 stage goal setting technique, how to use the power of the unconscious mind to unburden yourself from self-imposed limitations, how ‘self-talk’ and ‘visualisation’ techniques can be used to relieve stress, improve energy levels and focus and ultimately help you achieve more in your work and personal lives. You’ll find out what top businesspeople, sportsmen and women, actors, musicians and other professionals have in common when it comes to setting and achieving ambitious goals. This introduction to marketing will help the reader to create an outline marketing strategy. From analysing your key ‘publics’ to defining and prioritising your marketing goals, and from sending powerful messages to ‘customerizing’ your approach for maximum impact, you’ll be taken through a step by step process deliver an effective marketing plan. Prioritise more effectively, delegate successfully, learn how to say ‘no’ (nicely! ), manage your meetings more effectively, cope with interruptions and tackle procrastination. Use these simple techniques to transform your effectiveness at work, bring down your stress levels and achieve more!